The easel card I found is not the easiest card too make. But I am sure given time it will become an easier project to make. I used the cricut to make the frame using Happy Haunting Cartridge, the tree, house and ghost are from Quickutz dies. Head over to www.onestopcraftchallenge.blogspot.com and enter your card today. 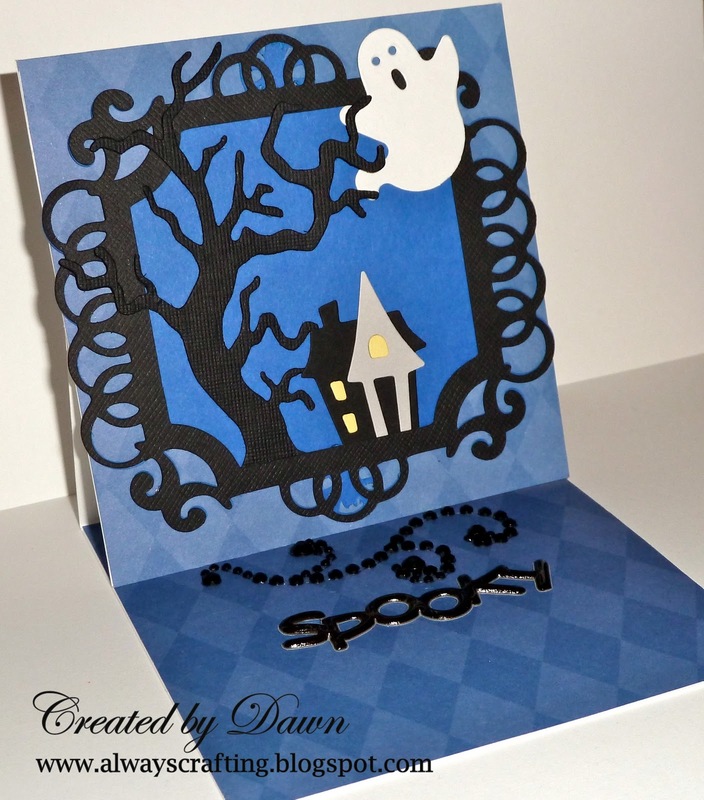 Great spooky easel card Dawn, love the blue and black together.